Priyanka Das has so many unanswered questions: Why did her mother abandon her home in India years ago? What was it like there? And most importantly, who is her father, and why did her mom leave him behind? But Pri’s mom avoids these questions—the topic of India is permanently closed. Nidhi Chanani was born in Kolkata, India, and raised in Southern California. She holds a degree in literature from the University of California, Santa Cruz. She creates illustrations that capture the love in everyday moments. In 2012 she was honored at the White House as a Champion of Change for her art. Her illustrations are sold in boutiques along the West Coast and she's worked with companies like Disney and Hasbro. Nidhi lives in the San Francisco Bay area with her husband, daughter, and two cats. 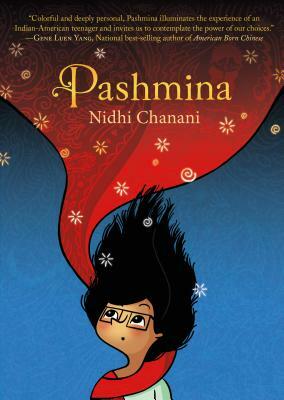 Pashmina is her first graphic novel.